If you are an Dinner and Dance Organiser, Events Company or Corporate Company looking for an impressive Stage Magic Performance, Contact Advent Music today! 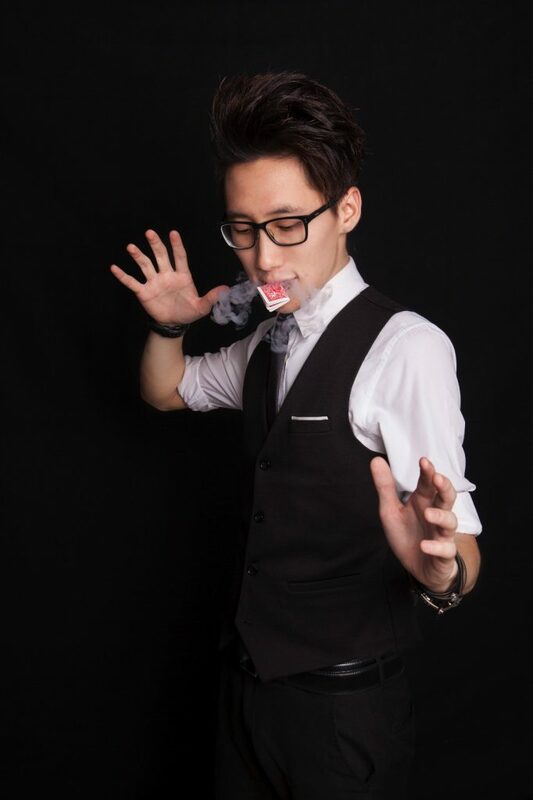 If you want to hire an engaging magician for your event, Mark, one of the rare mentalists in Singapore, provides a riveting performance that you wouldn’t want to miss. Being an experienced performer of this artform, he sets the bar high by grabbing the crowd’s attention, from beginning to end, with the completely unexpected. His impressive showcase leaves his audience speechless! Being a highly sought after magical entertainers, Mark is a specialist at his Magic Performance. Having entertained for many places and clients, Mark is familiar to the performing scene and knows how to hit all the right buttons to engage his crowd, and his received praise from many organisations. His extensive and strong portfolio of clients and locations includes the Singapore Flyer, the Mayday Rally, Channel 8, Singapore Armed Forces, NTUC, Singapore Turf Club, Equinox and Longines. Additional, he has also showcased for, and impressed dignitaries like Mr Goh Chok Tong, Mr Lee Hsien Loong, and Mr Chan Chun Sing. Mark is able to impress all kinds of audiences. Being no stranger to getting standing ovations, mark injects the optimal amount of suspense, humour and amazement into his set so that old and young alike will be captivated by his engaging performance. Contact us today to hire a powerful Magic performance that your crowd will not forget!